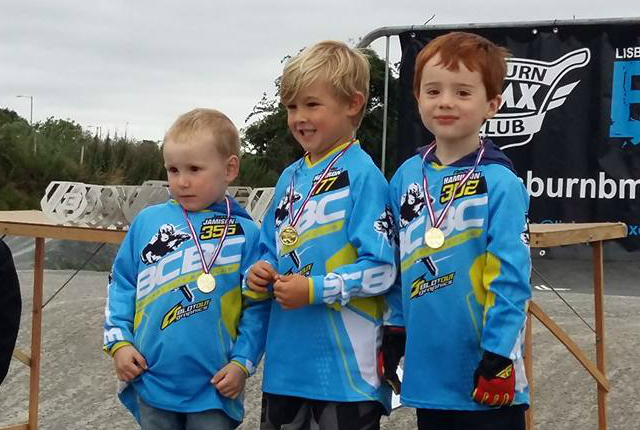 6th August 2016 Ulster Bmx Championships Lisburn. A late post, but here is all the info from the Lisburn Bmx Club Facebook. "Right folks, sorry we are only posting the results today but some of us old committee members had to have a lie down after a busy weekend. We would like to say a big thank you to all the volunteers which helped out yesterday. Without you guys it would not have been possible to hold the event. Lets get to it, Ulster's new first, second and third place BMX champions are as follows. 30+ Masters B Final, He had a hard race but came out on top. Big thanks to Lesly Doherty for Commentating yesterday. Great job, see you next Sunday when you get to do it all over again."